Cloud computing empowers both large and small businesses to operate more efficiently than ever before. It allows Users to share a wide range of files and applications while collaborating from multiple locations and time zones. Using the Cloud for your business is one of the most cost-effective solutions to the challenges many business owners face. It provides the security needed to share sensitive data with others. Implementation is easy, flexible and affordable. Understanding how to harness the Cloud can help your organisation optimise its operations across all of its departments and locations. Also, it will help you to build a flexible workforce. Cloud services are third-party remote centres that store and process the data for Users and businesses. It allows you to manage and share resources while minimising the costs associated with traditional data storage methods and application provision. Using the Cloud gives you tremendous flexibility in managing your data and using your applications. A major attraction is the way that you rent space and applications delivered through the Cloud, removing large capital outlays for equipment and User licences. Every day, more and more individuals and businesses are exploiting the Cloud whilst Cloud technologies evolve and become ever more cost effective. It seems as though the whole world is moving into the Cloud! Using the Cloud for your business helps you streamline operations and optimise the systems and processes used within your organisation. More importantly, it creates a single accountable point that makes it easy to address any problems that may arise in the future. This allows you to solve these problems quickly and without the use of valuable resources. Cloud computing provides businesses with comprehensive tools that can be used to make future business decisions and plans of action. In comparison, traditional IT services that are used to can take up a lot of resources over time. Cloud services provide a more efficient alternative, flexing as your organisation evolves and grows. Cloud computing also gives your business a secure centre for all of your data. This creates the infrastructure you need to store, process and network your vital operational information easily and regardless of geography. 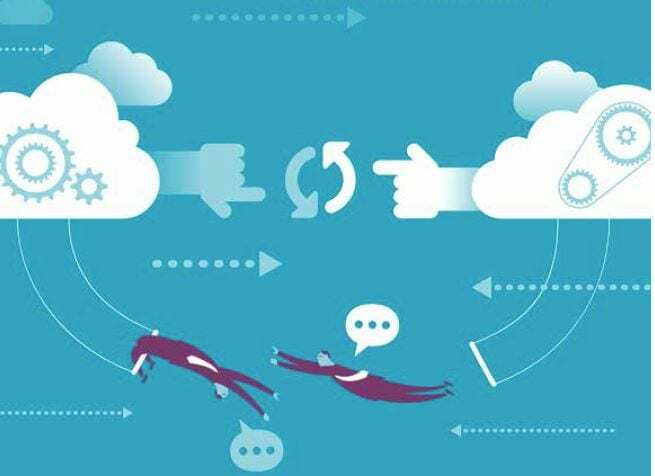 Among the biggest benefits of exploiting the Cloud is its ability to lower the costs associated with running a flexible business. Cloud computing eliminates many infrastructure-related expenses such as storage, redundant technologies and office space. Using Cloud computing to create and develop a remote team makes it easy to attract talented employees wherever they may physically reside. It allows new team members to integrate into your operations without having to relocate and enables them to work efficiently while on the move. Remote employees also have greater control over their work when utilising the Cloud. They typically work more productively while away from base and stay connected to the business objectives of the Company. A number of applications are available that use the Cloud to provide collaboration tools. These can also track progress on a given project or monitor business performance remotely, allowing business owners to easily keep on top of the activities across different individuals and departments. Learning how to best utilise the Cloud allows you to efficiently manage and optimise your workflows. Traditionally, businesses have used multiple systems that couldn’t always be integrated. This increases the amount of resources required to manage and process data. Using Cloud technology lets you create a paperless and seamless system more easily, making it simple to process all incoming data related to production, sales and business performance. Cloud storage systems require less time and money to implement when compared to traditional IT infrastructures. It can also be customised according to the needs of your business, which further optimises the use of valuable resources. Harnessing the Cloud really does have the potential to transform how your business works and creates a more efficient and rewarding work environment for your entire organisation.